Once you have gathered your treasures and prepared them accordingly, you are ready to enter them into the system. We recommend grouping your items into the following categories: clothing, shoes, jewelry, accessories, and home décor. Next, you are ready to log in to your Consignor Homepage. Click on the Consignor Login on the Ever Brighter homepage. If you are a first time consignor, click on Need a Consignor Number at the bottom of the page. For returning consignors, once you have logged in with your consignor number and password, choose Register For Our Upcoming Sale in the Activities Menu. Click on Work With Consigned Inventory under Activities on your Consignor Homepage. Click on Active Inventory and your choice of Mobile Version or PC/Laptop Version for manual item entry. For voice entry for items choose PC/Laptop Voice Entry or Mobile Voice Entry. You are now ready to enter your inventory. Refer to the directions below for how to enter manually or by voice item information regarding Category and Size, Description, Price and Quantity, Half-Off Sale and Donations - and then finally how to submit and view your item information. Returning consignors have the option to reactivate unsold items that were picked up from Ever Brighter's 2018 sale. This can be done by selecting Work with Consigned Inventory from the Consignor homepage and then Inactive Inventory. Mark each of the items that you want to reactivate for the July 2019 sale and then click the activate button. You can now see these items on the Work With Consigned Items (Active Inventory) page. If you want to change the description or price, you can do so here. To activate all items from the previous sale, click on the Activate ALL Items button. If you have questions that are not answered on the website, please email hello@everbrightersale.com. Click on the Size scroll down menu to select a size if the item is clothing, shoes or bedding. If no size is needed, select Leave Blank. If the size is larger than 20, select See Description for size and type the size in the item description. If more description or explanation is needed, use "Description Line 2." If an item is new, consider adding that detail here. Enter a price. We recommend 60-80% off the retail purchase price, to allow for a good profit and the best chance to sell your items. If you are highly motivated to sell your stuff, consider 80% or more off retail - price items to sell! Each item must be a minimum of $2 and in whole dollar increments (no $4.50 or $4.99). If you are reactivating unsold merchandise from the last sale, consider dropping the price. Leave the quantity box at the default setting of 1, unless you have several identical items in the sale and want the same tag for each item. Click Item Can Be DISCOUNTED and Item Can Be DONATED boxes if you wish. You have the option to sell your items at half price during the final day of the sale. If you would like your item sold for half-price, click the Item Can Be DISCOUNTED box. You can also click Discount All Items in the Inventory Functions drop-down menu to easily make all of your inventory available for the half-off sale. You can also choose to donate your unsold items to our partner charities. You can also click Donate All Items in the Inventory Functions drop-down menu to easily make all of your inventory available for donation. 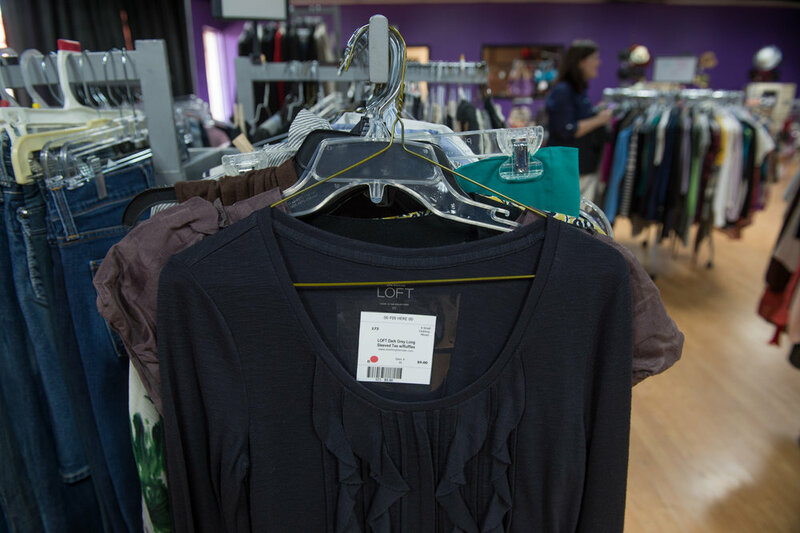 (Items marked to donate will automatically be marked as half-price during the half-price sale in an effort to give you a chance to make some money from your items before they are donated.) Items that will not go half-price will still be included in the sale once the half-price sale begins, but will only be sold at full price. Click Submit Item. You can still make changes after this point. At any time before the entry deadline, you can continue working on your online inventory. When your inventory is complete, print and attach your barcode tags. At any time you can view or print an inventory report of what you have entered thus far from the Consignor Item Entry page. During the sale, you can view your sold items on this same page. This will be updated overnight following each day of the sale, including the pre-sale. If for any reason there is a delay in posting of your sold items in the system, you will receive an email notification from Ever Brighter. For detailed information, click on Instructions at the top of the Voice Entry Item page. Follow the instructions above as listed for Manual Item Entry then click Begin Recording when you are ready to enter the remaining information. Begin with speaking the item description first; you are limited to 48 characters. State the word "price" and then the amount and the word "dollars." State "discount" or "no discount" and then "donate" or "no donate." An example for voice entry would be stating "Ann Taylor navy sleeveless top. Price 15 dollars. Discount. Donate." As you complete your voice entry, your words will appear in the What We are Hearing box. When you have finished recording, click End Recording. If the words you see do not match what you intended, click Start Over. If everything looks accurate, click Submit Item.